If you are looking for Easter basket ideas using your Cricut you are in the right place. 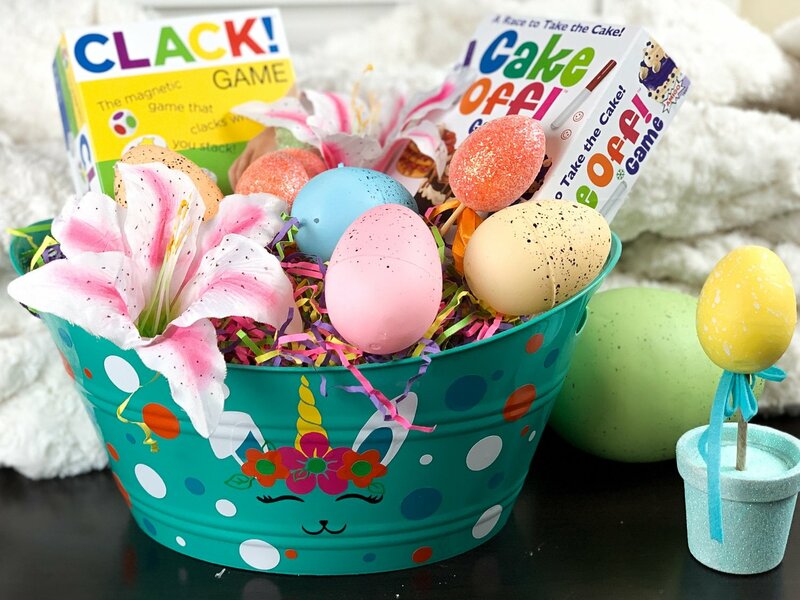 This DIY Easter basket cost less than $5 to make. I found the basket at the dollar store. While you are there g some plastic eggs and candy to stuff them with. Then you can also add a name to have a more personalized Easter basket. The ideas are endless. 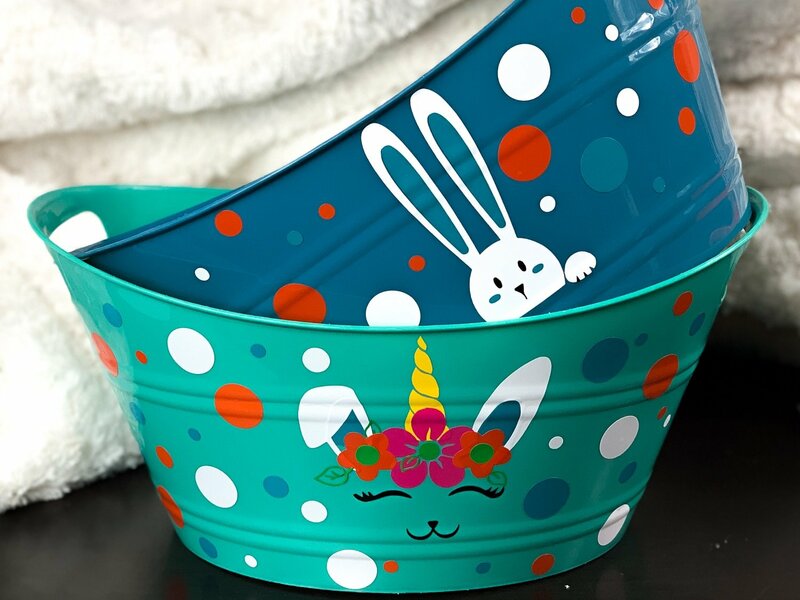 My baskets feature an Easter Bunny unicorn or Bunnicorn and a little peaking bunny. These baskets would be awesome to put the Easter eggs the kids find during an Easter egg hunt in. The days of wicker baskets and hot glue guns to make em look extra pretty are over. No more putting easter gifts into rain boots in an attempt to have a unique DIY Easter basket. And as always, I am giving you a free svg file. None of my free svg cut files include a commercial license if you wish to use them commercially feel free to send me a message. Because I own a Cricut, and I love it. I often refer to the files as Cricut Files. But these files can also be used for your silhouette cameo because I am not familiar with that machine, I would be no good when it comes to answering questions on it. 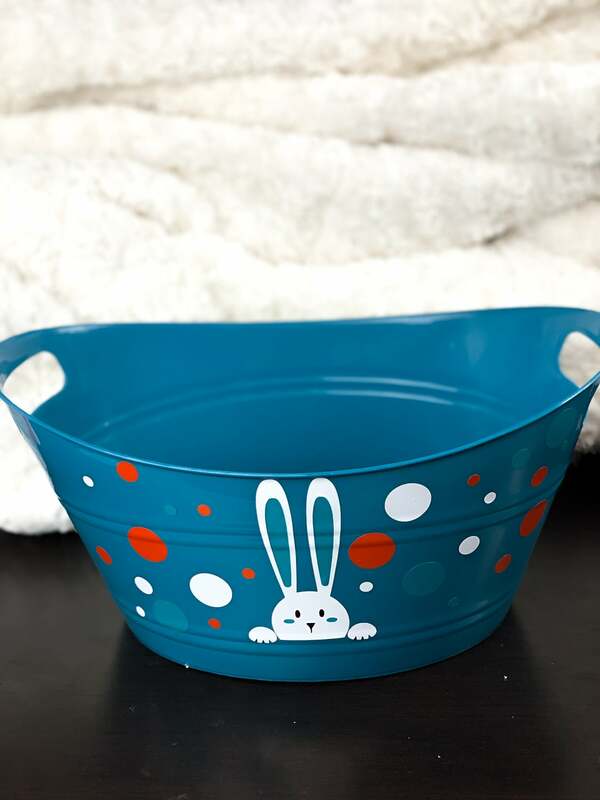 These are great baskets for kids. Stick some candy, games, and activities in them and they are also perfect basket ideas for toddlers. Here in my home, we are going through a unicorn phase. No not the 9-year-old, me lol. I think I may be a little obsessed. I just did this Unicorn Wall Decal and it looks amazing, she loves it too. Trust me there is tons more unicorn stuff coming. Anyway, I decided to do a Bunnicorn SVG for easter. I think I am in love with this unicorn bunny, and I am pretty sure it won’t be the last unicorn themed project you find on my blog. So if you are also obsessed with unicorns, I suggest you make sure you are following me on social media so you never miss out on an amazing unicorn craft. 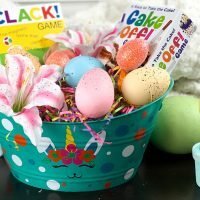 These diy easter baskets are super easy to personalize, just use your favorite font to type out a name and cut it with your Cricut and you have an amazing Easter basket that is personalized for the recipient. You could even go a few steps further and include other things that are personalized using your Cricut. 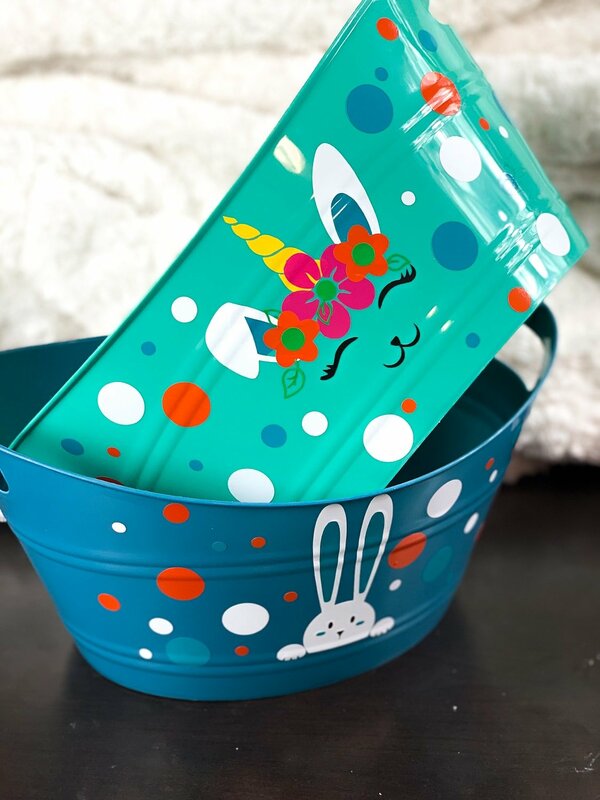 Here are a few things you could make with your Cricut to go into your diy easter basket. The ideas are endless. You could even make some amazing wall quotes and decals of the child’s favorite character. Often with my posts, I will be giving a free SVG file. I love to design so if it is something that doesn’t take me very long to create, then I will just give it for free. I am planning on adding at least 1 craft post a week from here on, don’t hold me to that though, sometimes life gets in the way and I can’t get one up. But if you are looking for more Free SVG Cut Files, go over here this is where you are going to find everything you need to create and keep on creating. Please understand that none of my free files are to be reproduced. What this means is I don’t care if you make and sell things using my file, but please do not sell the file. 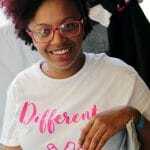 I am available to create custom files also, just shoot me an email using the contact form above. These Easter baskets are something that will be talked about for years to come. They make a great keepsake. After Easter, the basket can be used for storage of legos, or other toys that the child may have. Like I said above, I want to do tons more with crafts and DIY, I would love for you to drop me a comment and let me know what it is you would like to see next. Here are a few more DIY projects you can make with your Cricut. If you are looking for Easter basket ideas using your Cricut you are in the right place. 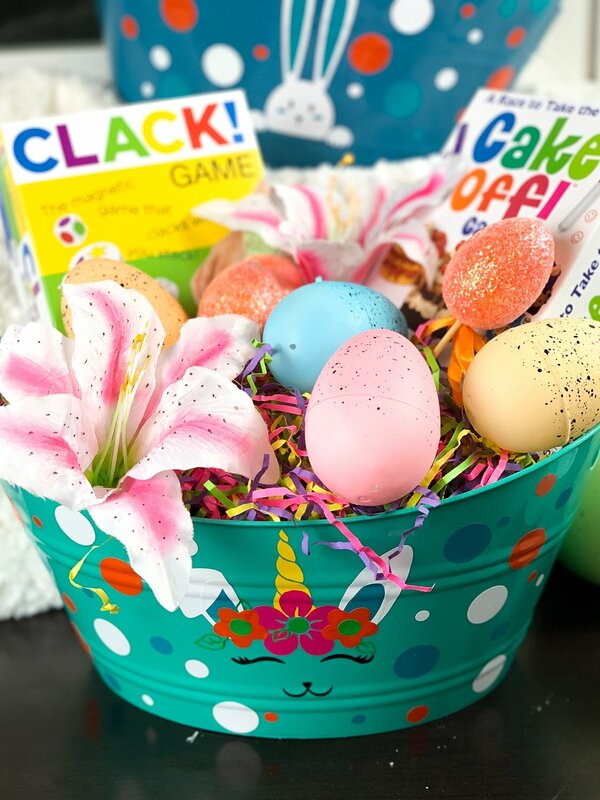 This DIY Easter basket cost less than $5 to make. You may use files to create items to sell, do not give away purchased files and do not resale files.